DIGITALIA offers Spanish language e-books, educational multi-media and films. E-books come from Spanish and Latin American publishing houses, with content from Argentina, Chile, Columbia, Dominican Republic, Peru, Mexico and Spain. Content includes publications and backlist titles as well as the newest releases, with new titles constantly being added to their database. Patrons will have access to all current content and to all new content that is uploaded the year of subscription. A Library may subscribe to the full collection which includes all e-book collections and the multimedia collections; or, a library can subscribe to individual or multiple collections. E-book collections are based on the following genres: art, biographies and memoirs, cinema, literature, education, health and medicine, history, fiction, philosophy, politics, religion and mythology, science, technology and science fiction. The Digitalia Public Library is a collection of over 13,000 public e-book titles. New titles from Alba editorial, Anagrama, Edebé, Impedimenta, Libros del asteroide, Maeva, Roca editorial and Siruela have been added. Maeva, Roca Editorial and Edebé are known for their thrillers, suspense, and romance. Quick Languages has 12 languages including… Arabic, Chinese, English, French, German, Italian, Japanese, Korean, Portuguese, Russian, Spanish, and Turkish. This is an accelerated program in 100 sessions. Patrons have access to 800 easy-comprehension videos in English and Spanish, 600 audios, 71 e-books, 1200 pages fully-illustrated in color, and 2000 self-correcting exercises. Accelerated program in 30 sessions. Access to 230 easy-comprehension videos, 420 audios, 30 e-books, 600 pages fully-illustrated in colour, 800 fundamental concepts of language and 100 cultural notes to learn on your own. Learn about the life and work of the greatest painters wherever you are! With 18 e-books of 60 pages fully-illustrated in color, 18 video classes to understand classical works and 36 reproductions to create your own art gallery. 10 e-books of 80 pages fully-illustrated in color, 10 video classes to know the life and work of the greatest musicians and 10 audio selections. A collection of classic children’s stories in digital version. With every story, children will be able to read, listen, watch and play. Ideal to entertain and promote children’s reading. PC AULA (Classroom PC) Learn about the complete use of your computer, the office and multimedia software, the Internet and the web browsers, and about the new communication tools and social networks. Includes Windows 8. Digitalia is a subscription based collection and patrons have unlimited access to content with unlimited concurrent users. Access is on-line authenticated via library card numbers to the library IP addresses. Patrons have access to all current content and to all new content that is uploaded the year of subscription (books and magazines). This option offers unlimited users, right to document printing, and usage statistics. Patrons will be limited to a maximum of 5 downloads at any one time. 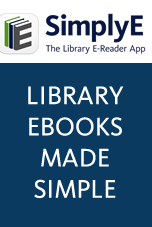 Patrons may “check out” (download) e-books using “Adobe DRM Content Server”. The initial number of total downloads per library will be negotiated by the Library. Digital contents are available 24/7. Digitalia Film Library (streaming video) is a multilingual, multi-national collection of films from Spain, France, other European and eastern European countries, North American Classic films, and Latin American films from many Latin American countries including Mexico, Argentina, and Brazil (Portuguese). This library now has approximately 770+ films and will grow to over 900 films in 2015. You will receive Public Performance Rights (PPR) with all of these films. The Films are available by Subscription only.